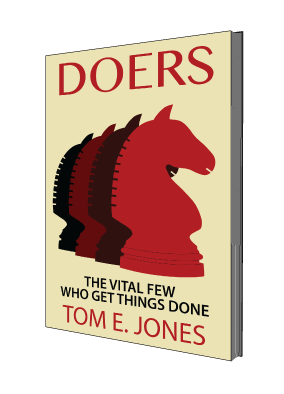 Doers at the lower levels have more contact with peers than with bosses, so there is room in those relationships for more misinterpretation when a Doer embarks on the path toward professional development. Their colleagues have invested time and effort in getting to know them, so they should not be surprised when their coworkers are resistive to their good intentions. Those who work with and trust them to do the right things the right way want things to remain familiar and comfortable. After spending so much time together, people get to know each others strengths, weaknesses, hopes and ambitions all of which are subject to misunderstanding during a period of personal growth and professional development. Peers base their expectations on fairness and equity; you do your job and they do theirs. Your peers will demand more from you because their job is affected when you are away from work undergoing training and not pulling your weight. While your attention is drawn to acquiring new skills, they are concerned about having to pick up the slack if you fail to meet their needs or worse yet get a promotion and leave them behind. By seeking to better yourself you run the risk of being ostracized. In some ways it is much like high school where the pressure to conform can generate feelings of guilt which you do not deserve. Doers know that negative peer pressure can neutralize their best intentions.